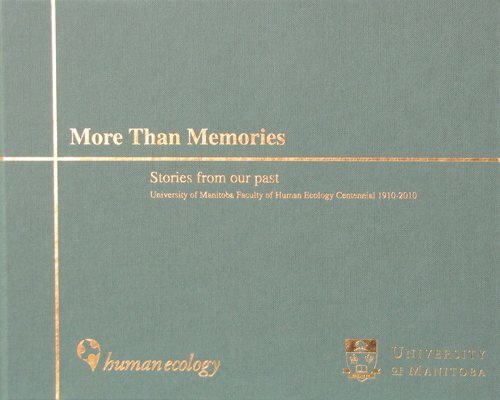 This work celebrates the past 100 years of innovation and education in the University of Manitoba Faculty of Human Ecology, beginning in 1910 with the establishment of the Home Economics Faculty and finishing the present day. 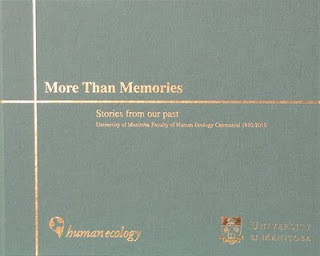 The text compiles photographs and testimony from graduates and alumni. Glenda Parsons is the Communications Officer for the Faculty of Human Ecology at the University of Manitoba. Part of her duties as Communications Officer required dealing with Alumni Relations which required assisting in organizing the 100th Anniversary of the Faculty of Human Ecology in 2010. Michael Eskin is a Professor of Food Biochemistry and Associate Dean in the Faculty of Human Ecology at the University of Manitoba. In addition to publishing over 120 research papers, Michael has authored, co-authored and co-edited 9 books several of which were translated into Japanese and German. He is presently completing 3 books including the 3rd edition of his classic book Biochemistry of Foods.